Based on the American Linley 1A, and starting life in Britain during the mid 1940s as the Excel No. 1 Jig Borer (as part of the B.Elliott Group), the Mini Jig Borer was developed by Downham Engineering and (in its later improved forms) badge engineered with "Downham", "Elliott" and "Gate" name plates. 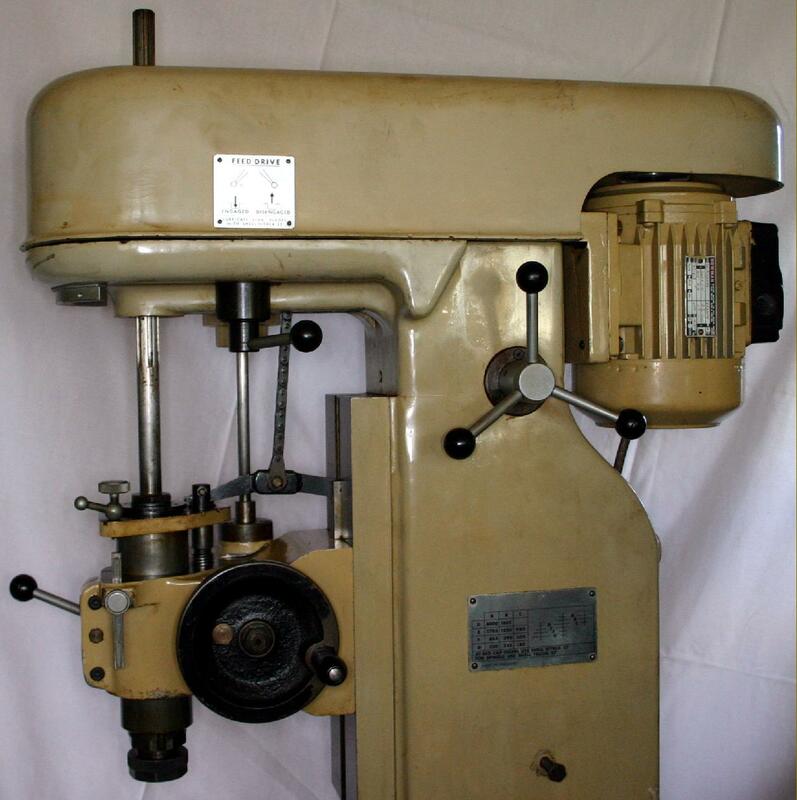 Described by the makers as a "Co-ordinate boring, Drilling and Milling Machine" three versions of the Downham were to be built, all identical as far as major components were concerned and with only relatively minor changes between them: the Mk. 2 was fitted with a different design of collet fitting in the spindle nose that involved the use of a needle-roller thrust bearing and washer; flat faces to all the feed-screw handwheels; a tall cover over the top of the quill as it emerged from the head and telescopic guards over the sliding elements of the head and power down-feed shaft. The Mk. 3 was mechanically identical to the Mk. 2 but equipped with a thyristor-controlled, vertically-mounted 1-hp DC motor, driving via a double-stepped pulley to give a low-speed range from 100 to 1000 rpm and a high from 1200 to 4000 rpm. The motor plate was eccentrically mounted to allow it to be moved away to ease belt changes from one pulley to the other. Although the borer was built in versions with both inch and metric calibrations, today the fitting of an inexpensive DRO system allows a user unfamiliar with the type fitted to operate the machine with entire confidence. On the Mk. 1 and Mk. 2 eleven speeds were provided: 180, 235, 300, 390, 520, 865, 945, 1220, 2750, 1805 and 4000 rpm. 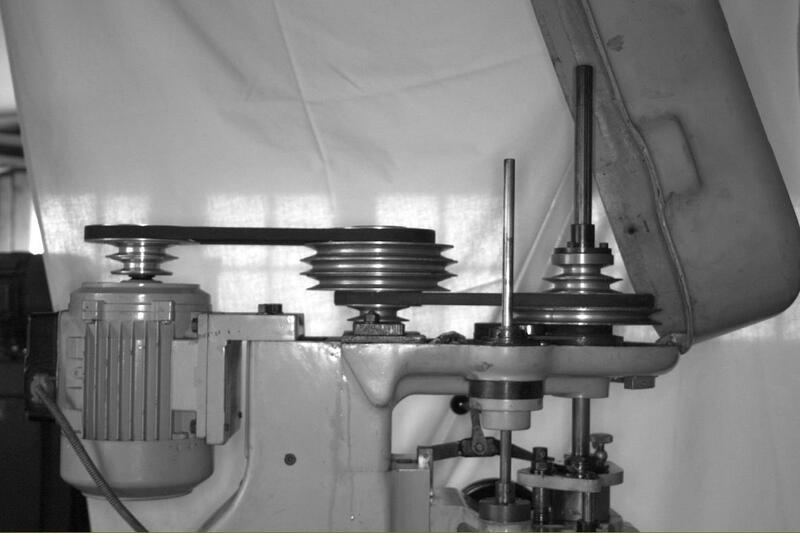 Power came from a rear-mounted 3/4 hp 1500 rpm motor that drove forwards by V belts to an adjustable intermediate jockey pulley (supported on sealed ball races) and then to the main spindle pulley running in its own set of (sealed) ball races to isolate the spindle from the effects of belt pull. An optional slow-speed pulley set was also offered giving 120 to 2665 rpm or, if fitted with the 60 Hz 1200-rpm motor for export to the USA, 145 to 3200 rpm. A front-hinged fibreglass cover, that could be quickly unhooked to provide unrestricted access to the drive, guarded the belt runs. Counterbalanced by a weight supported on a chain within the main column, the head was wound up and down its 9.5 inches (240 mm) of travel by a 3-spoke capstan wheel. The column ways and the locating tennon were both flame hardened and ground and the head could be locked into its chosen position by a lever on the left-hand side. Case-hardened and ground, the spindle was manufactured from a nickel-alloy steel and equipped with a precision-ground spline; the lower spindle bearings were a matched pair of the super-precision angular-contact type with a single bearing at the top. The quill, carried in a very robust S.G. casting, had 3 inches (76 mm) of movement that could be operated by either a very "low-ratio" drive handwheel or under power from a simple take-off on the underside of the main spindle pulley. To protect the drive from damage, an adjustable auto-disengage stopped the feed in both directions. 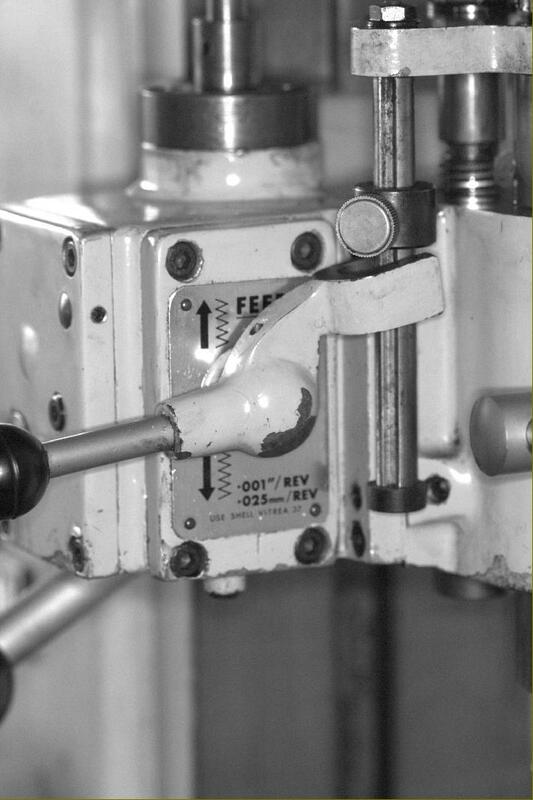 The mechanism for the hand feed was designed to give the smoothest possible feel (and minimum linear travel per revolution) and to achieve this was built around a hardened, nickel-steel shaft that carried a precision-ground Acme thread of 0.100" (2.5 mm) pitch driven by a pair of spiral gears. 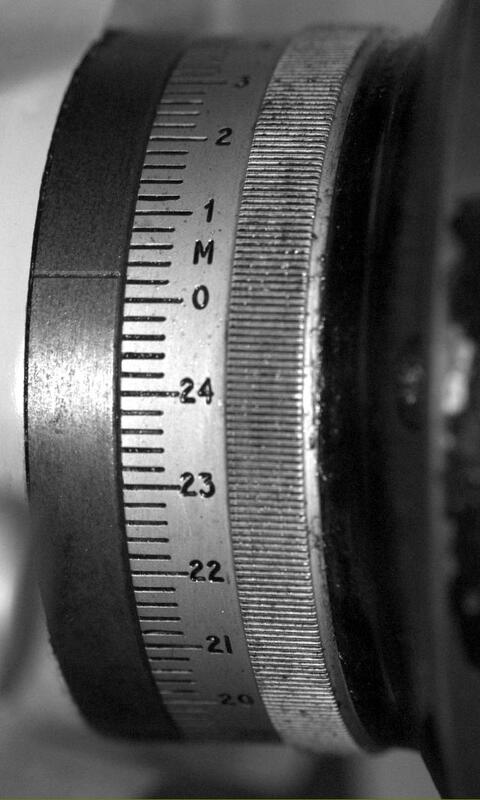 The large diameter micrometer drum on the quill handwheel was, like all others on the machine, finished in satin chrome, beautifully engraved and equipped with a vernier scale and a "through-the-face" locking screw that eliminated any deflection as it drew the rotating element against the fixed. A Downham Mk. 3 with the tall, vertical motor mount and the variable-speed control knob mounted just below the front of the belt cover. On Mk. 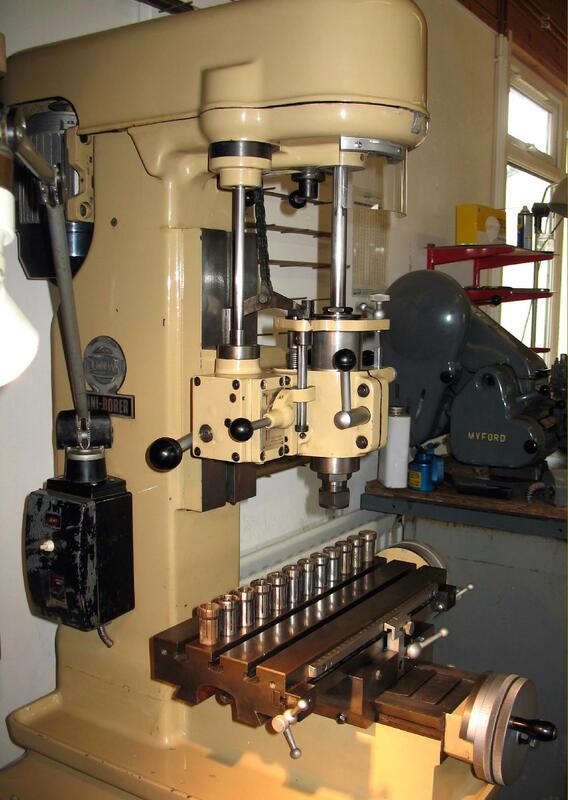 1 machines a Brown & Sharp 00 "dead-length", nose-clamping "spring" collet was used (a modern alternative is a Crawford CC18) and, on the Mk. 2 and Mk. 3, a Newhall-Balas "Type C6" that, whilst still pushed in on its nose was tapered for its full length and had to be removed with a special extractor. In the manual for the Mk. 2 a specific instruction was given for including a needle-roller thrust bearing and washer in the collet nosepiece assembly, although this was omitted from the edition supplied with Mk. 3 machines. The original Brown & Sharp collets were supplied in a 16-piece set from 1/16" to ½", in steps of 1/32" (including one with No. 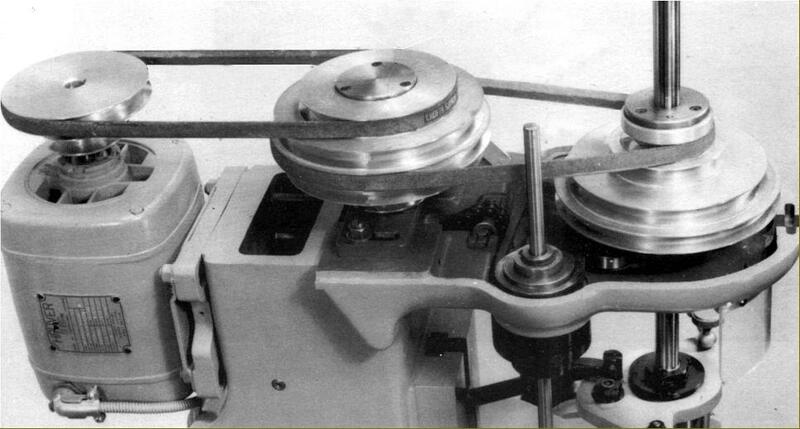 1 Morse taper) whilst later machines arrived with just 6 collets capable of holding cutters with of 1/4", 3/8", 1/2", 5/8" and 3/4" shanks - and one collet as a No. 1 Morse taper adaptor. As an alternative, metric collets could also be supplied in a set of 6, 10, 12, 16 and 20 mm. The collets were stored in a rack on the inside of a stand door that gave access to a rather inadequate storage space fitted, at least on the Mk. 1, with a small slide-out tray. Two hardened spanners were provided: one to hold the spindle still, the other to lock and unlock the hardened nosepiece nut - the last, as an interesting detail, having its spanner flats hardened but the threads left soft to protect those inside the (expensive) spindle from careless handling. 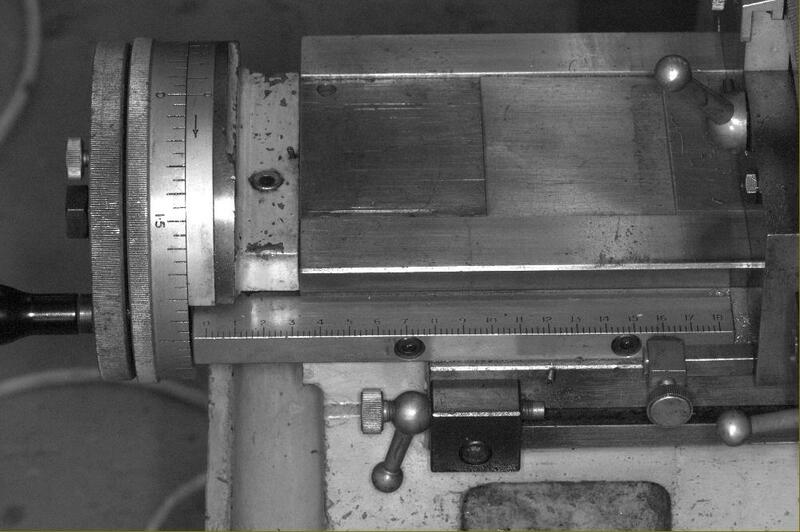 The maximum distance between the spindle nose and table was 9.5" (240 mm). Made from hardened steel the 16" x 7" (406 mm x 178 mm) table had generous movements of 12" (300 mm) longitudinally and 7.5" (190 mm) laterally; however, some tables on the Mk. 1 have been measured at 17" x 7". 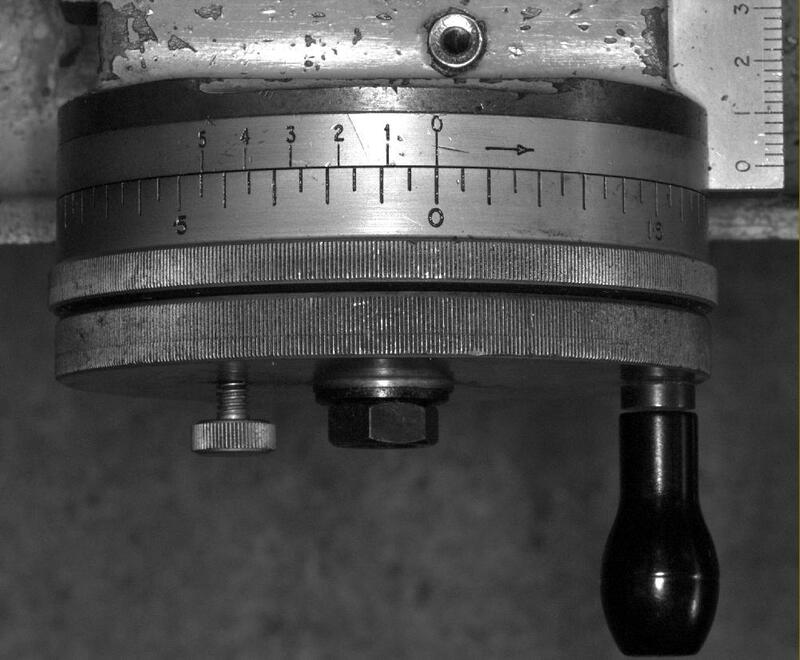 Very large-diameter, satin-chrome, vernier engraved micrometer dials were fitted with a direct reading scale of 0.001" (0.02 mm) and vernier marks that allowed movements as little as 0.0001" (0.002 mm) to be easily read. The feed screws were manufactured from nitride-hardened steel with the 0.100" (2.5 mm) pitch Acme threads precision ground. The end thrust of the screws was taken against pairs of miniature radial needle-roller bearings and each feed nut was adjustable to reduced backlash between it and the screw. 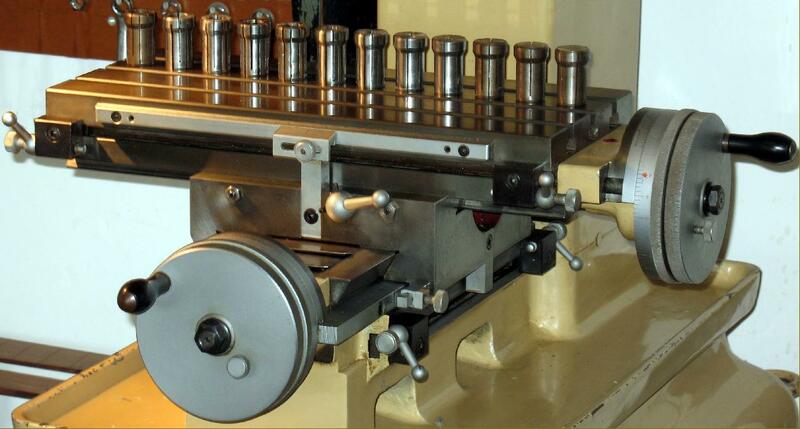 The table ways were hardened and ground and the top surface given special attention with a ultra-careful finish grind; as a final touch the side faces of the three T slots were ground parallel with the guideways, so allowing workpieces to be adjusted against them - and so quickly but accurately set. Each axis of the table's movement was also fitted with a finely engraved, full-length ruler that had an adjustable zero setting on its stop. 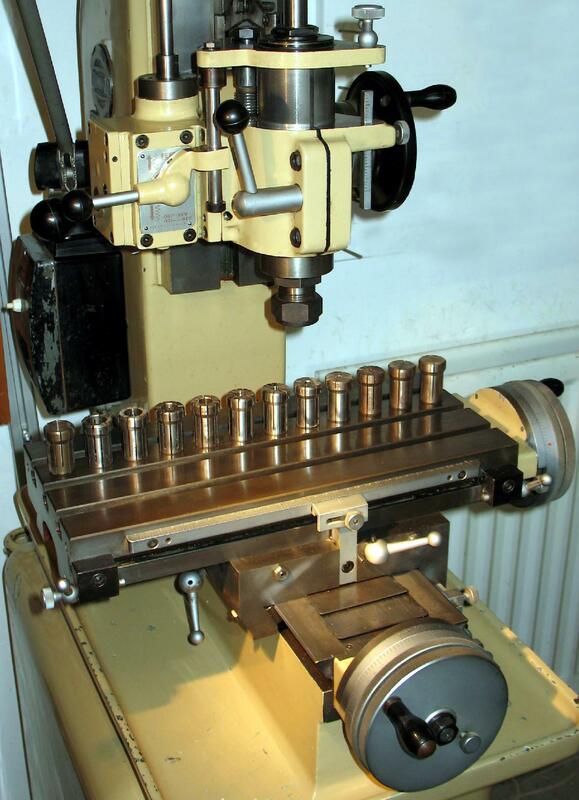 Optional extras included a boxed table-clamp set, centre-edge finder, hardened 4-inch precision vice, 6-inch rotary table, keyless drill chuck and two sizes of Boring head: the Model OZ with a body 1.25" in diameter and an offset of 0.5" and the 2" diameter Model 1Z with a maximum offset of 0.5". 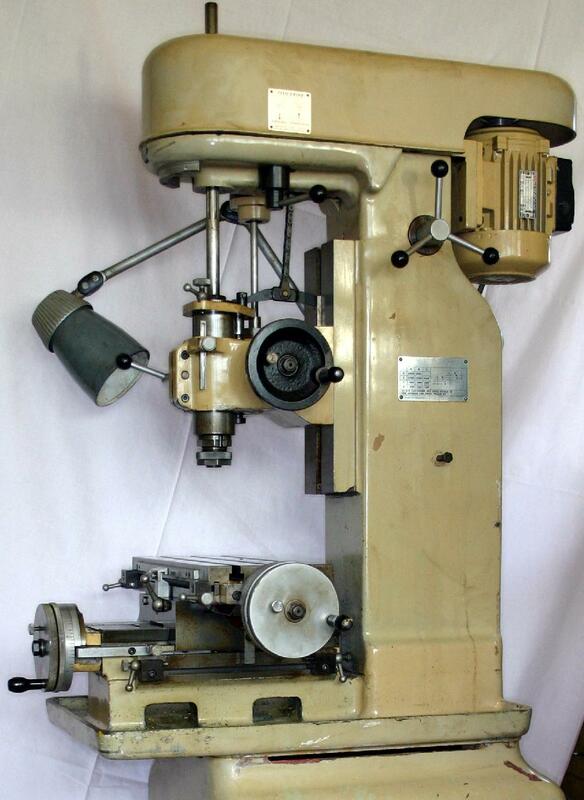 If the machine was used for conventional milling rather than boring it was advisable to employ a special set of 3 collets (listed only for the Mk. 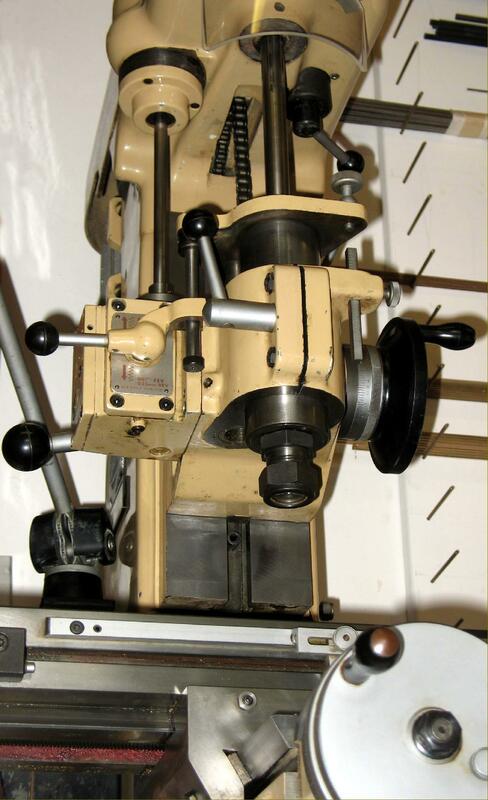 3 ) that were threaded internally to accept standard 1/4", 3/8" and 1/2" screwed shank cutters ; if you have one of these jig borers (of any year) and intend to mill with it contact Crawford Collets to see if they can supply the correct collets - possibly as Brown & Sharpe 00 or 00A, catalogue numbers 4996 and 5071. 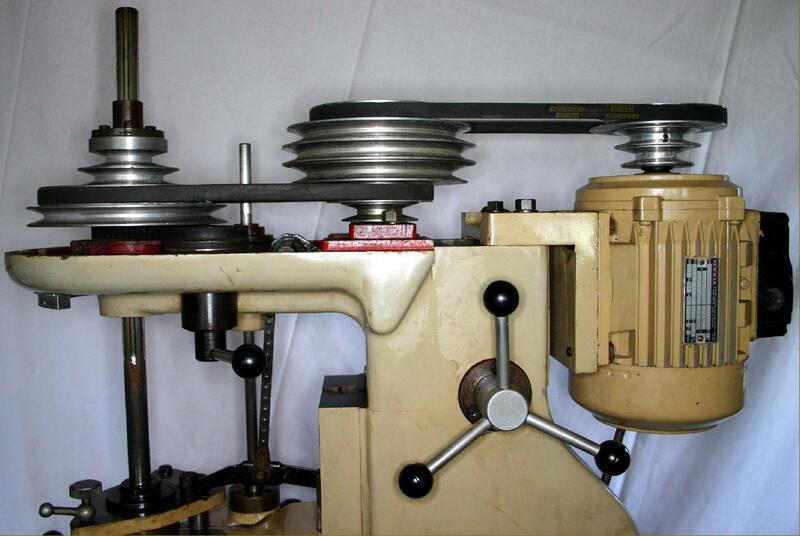 - a stop added to the quill clamping lever will prevent its interference with the feed-depth stop. - by purchasing the entire range of the Balas collets any fitting with diameter of up to 20 mm can be accommodated with an additional increase in vertical capacity for longer drills. 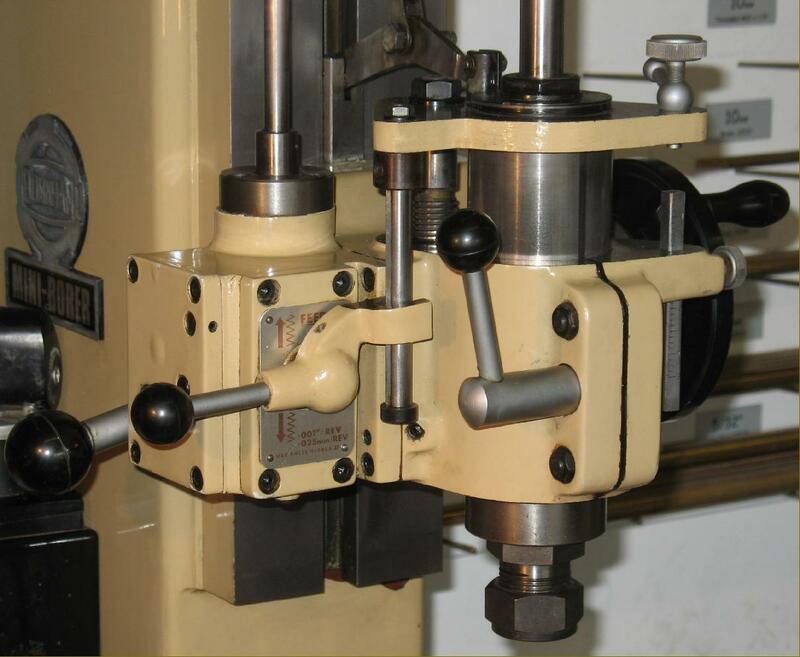 - a dial-test Indicator holder, with controlled adjustment in two planes and mounted on the collet retaining nut, will be found a great convenience. Tipping the scales at 880 lbs (340 kg) the Downham-Elliott was, considering its compact dimensions, a very heavy machine and there can be few others like it that offer the keener home-enthusiast, small professional tool-making or instrument workshop a dual-purpose machine capable of jig-boring, co-ordinate drilling and light but very accurate vertical milling..
On Mk. 2 and Mk. 3 models a Newhall-Balas "Type C6" was provided as standard. Like the collets for the Mk. 1 these were pushed in on their nose but were tapered for their full length and had to be removed with a special extractor. In the manual for the Mk. 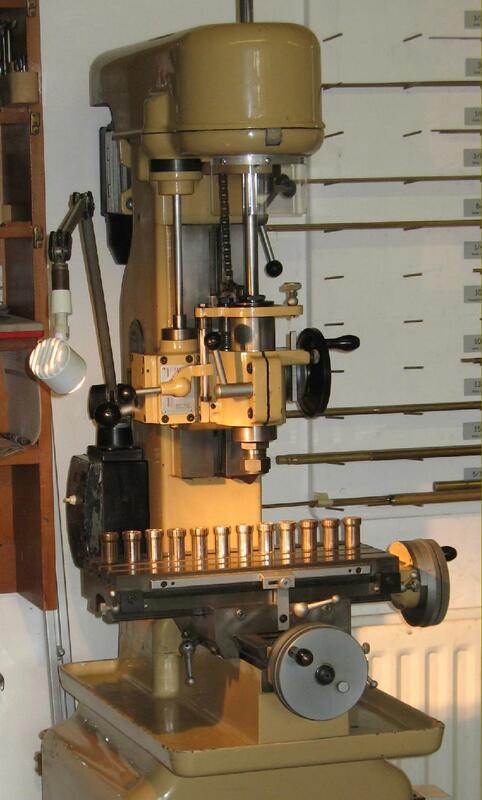 2 a specific instruction was given for including a needle-roller thrust bearing and washer in the collet nosepiece assembly, although this was omitted in the edition published for the Mk. 3.